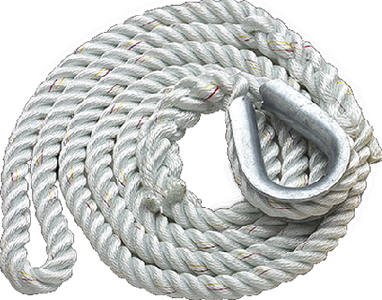 100% high tenacity 3-strand nylon is long-wearing and abrasion resistant with excellent elongation properties. Galvanized heavy duty thimble on buoy end. Professionally spliced soft eye on boat end.